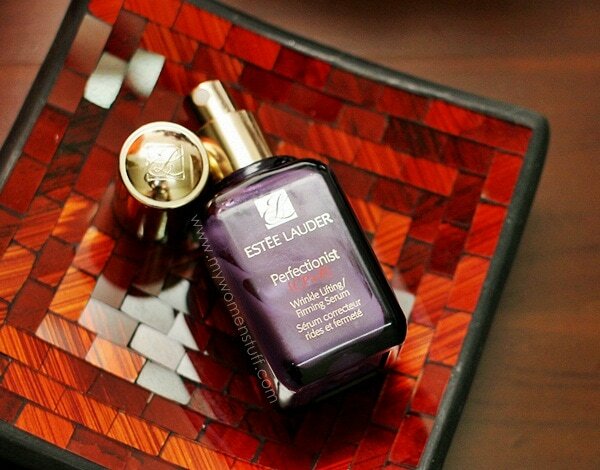 The ANR remains a staple till today, but I mostly fell off the Estee Lauder bandwagon after a while. The last item I tried from the range was the Perfectionist serum. About 2 months ago, I found out that its gone through about 2 revamps since, and is now called Perfectionist [CP+R] Wrinkle Lifting/Firming Serum. The young ‘uns among you will heave a sigh of relief at this point, I’m sure. Contrary to popular belief, I am not one for telling those below 30 that they “need” an anti-aging or lifting or firming serum or cream. In your 20s and even early 30s, I believe in proper basic maintenance skincare – keep skin hydrated and you will have fewer problems as you go. But as we age, there comes a time when just hydration alone doesn’t cut it and we need a little extra boost. First off, texture. The original formula had a noticeably thick waxy texture. This new one Perfectionist CP+R has a lighter texture and actually feels lighter. It does still have a siliconey feel but it is less waxy, is much lighter in feel, and feels more comfortable on skin. I did however need 1.5 – 2 pumps of product because I felt that it did not spread as easily as I liked. I would love for the formula to be like that of the ANR serum, a light watery texture. That would be most comfortable. I do like how Estee Lauder has streamlined the packaging for their serums. They all now sport this square bottle reminiscent of the Advanced Night Repair, except each different serum has a different coloured bottle – ANR is brown, Hydrationist is blue, Idealist is a light green and Perfectionist is Purple. Despite this silicone feel (and it does make a good primer under makeup!) I did not experience any pore clogging. That said, despite the much thicker formula in the original product, I experienced no pore clogging then either. So maybe my skin is just fine with products like these. It is this silicone feel and texture that I attribute to the almost instant effect you see on your skin, in that any lines are blurred almost instantaneously. The serum is a blend of peptides, proteins and amino acids and CPR-75 technology that is supposed to supercharge and strengthen the skin’s natural collagen building power, and reinforce the skin support system which translates into filling in wrinkles and lifting skin to prevent sagging. There is an immediate skin diffusing effect which I attribute to the primer-like qualities of what EL calls ‘light diffusion optics’. As I said, I would peg this for someone in their mid-30s when life’s ravages really starts to show. Your skin would likely benefit best from a serum like this one then. 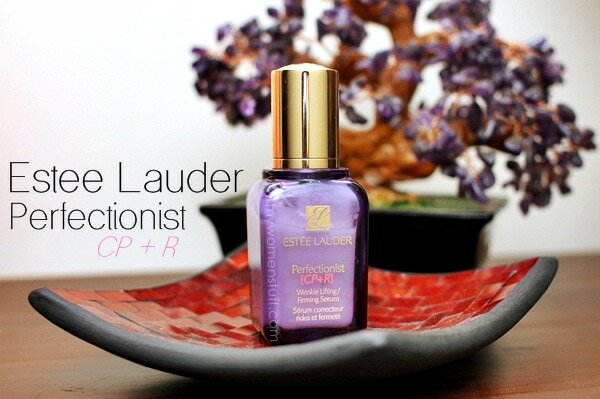 The Estee Lauder Perfectionist CP+R serum is targeted at firming skin and lifting wrinkles. As I don’t have a serious wrinkle problem, it was hard for me to test their claims. However, I did notice that in a month, fine lines and the deep laugh lines (nasolabial lines) I have, appeared a little lighter and less visible. My skin felt smoother and a bit firmer too and I personally found that this serum, used together with Advanced Night Repair, seemed to work better than alone (ANR then Perfectionist). Texture wise, it is a little thick with a silicone feel. I found I needed at least 2 pumps to get proper coverage all over my face. It makes a good primer, to be honest, and it does blur your lines almost instantaneously. It did not clog my pores, and I experienced no breakouts while using this. I think this will benefit someone who already has a problem with fine lines, and is less of a preventative measure. For the latter, I’d go with ANR. I should mention also that the scent is a light floral scent that is very pleasant and which I find soothing. Unlike the previous incarnation, the scent in this version is much lighter and more pleasant. I eventually gave the bottle to my friend, who seemed to have a much more significant result than I did. Clear lines on the forehead and on the nose bridge were noticeably lightened and skin looked better overall (said friend doesn’t use any anti-aging or lifting cream or serum). Needless to say, that’s a bottle of Perfectionist CP+R I’m not seeing again LOL! Have you used any previous incarnations of Perfectionist? Are fine lines or loss of firmness in skin current concerns of yours? Disclaimer: Featured product was a press sample from product launch. For posting guidelines please read my disclaimer. This doesn’t work for me. ANR works better still. It does serve a different function from ANR but like you, I’m sticking to ANR too – works so well! Deviating slightly from this topic, i wanted to get a bottle of hydrationist at the EL counter, to combat my de-hydrated skin, but the SA told me that it won’t work as well unless i start of with ANR which she says hold true for all thier other serums. Her recommendation is to start with a bottle of ANR, then add on whichever serum to combat whichever problems your skin has…not too sure if you’ve had the same advice from thier SA. I asked an EL representative about products, and I was told to use the CP+R during the day, even though she knew I was not using ANR. However, I like the CP+R so much that I plan to purchase ANR or ANR Concentrate in the very near future, simply because so many women seem to love it and swear by it! I’m using the Antipodes trio as my night moistuiser 🙂 I am not sold on the skin brightening one but I do like the hydrating + divine oil 🙂 I’m an ANR fan too! I believe in prevention as there is no serum that can reverse the effects of time. I have been religiously using a prescription vit ACE serum combined with Strivectin’s C and B6. I have started dabbling in Skinceuticals CE ferulic serum. My mum loves the ACE serum and it has made her pores more refined and brightened up her skin but she still looks her age. So I never say it’s too early to invest in a good antioxidant serum. I think ANR seems to be effective because it has retinol (a proven anti-aging compound). Thanks for sharing Firn 🙂 I do believe in prevention but to a degree. I think there is too much pushing of anti aging skincare to young girls these days, and it does bug me to see girls below 20 asking about anti aging when their skin are at their prime most of the time. That said, I also think genetics play a part so we should keep a maintenance or prevention routine in mind but we should also act according to what we really need, not what we are scared into buying which is what I seem to see more and more now. I have very reactive and thin skin so any irritation or damage shows up earlier and easier on me. Even my derm is having trouble getting my skin to behave sometimes. I do think tha how you age is at least 50% genetic because I know people with better skin than mine who are not as diligent with sun protection etc. I used to be a devoted follower of EL serums. Went through bottles of Idealist and Perfectionist [the period when their bottles were “ugly as sin” :-D] in the day and ANR – the latter for night. Looking back, I think they certainly helped preserve this old face a bit. Loved the super smooth – silicone-y feeling on the skin. Then I crossed over to Dior’s Capture Totale which although does not have that silicone feeling, was doing fine for my face. Oh – The ANR (and now + MRC combination) is still my regular face food at night. Haha! Someone who remembers those ugly bottles! 😀 I was a devoted Idealist fan too. Used to buy the special 100ml limited edition sizes. I hear the new formula now which is lighter is much better but I still haven’t given it a go. Maybe I should, just to see if it works as well for me now as it did then 😉 I’m using Capture Totale One Essential now too. Because its a pre serum, I treat it differently from other serums but I too prefer to use it at night only. The ANR serum is on my to-buy list (right at the very top). 😉 And that would be my first “anti-aging” serum. All the serums that I’ve used up till now are hydration serum. 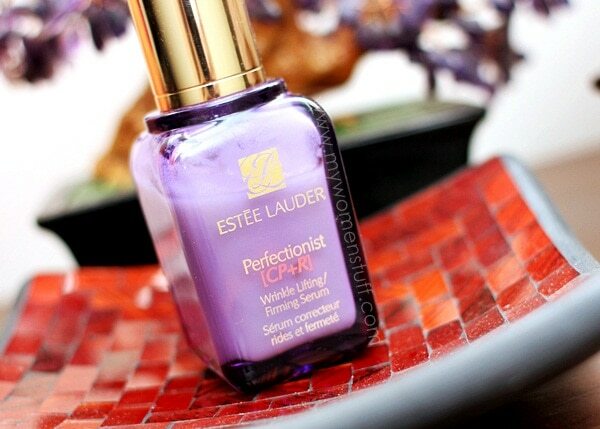 Personally, the best one being the Estee Lauder Hydrationist serum. I blame my fickle mind (women!) for wandering off to try something else and only to realize that the Hydrationist is better. Now I have to finish off the current serum before I can justify another bottle of Hydrationist. I’m a big fan of Estee Lauder, but I know girls who have sensitive skin do tend to have problems with some of their products. The ingredients they use are fairly powerful so I can imagine why some girls get irritation after applying products like this. Hi Vanessa, I think like all skincare, different people will react differently to the products. I personally have little to no problems with most of the Estee Lauder products too 🙂 Which are your faves? I’ve tried out their foaming cleanser and Advanced Night Repair Complex in the past. The night repair worked really well for the first 2 weeks, but then it started to irritate my skin a little. I cut back to applications every two days and that seemed to do the trick. Don’t get me wrong, it definitely did what they said it would, but I just prefer a lighter treatment for my skin. I started using the Estee Lauder CP+R approximately 3 weeks ago. It was my first EL purchase, and I must say that I really like it! My skin feels incredibly soft and my makeup goes on very smooth over the top of it. I asked the lady at the EL counter, if I was only going to buy one product, which one she would recommend (I am in my mid 40’s, fair skin tone, with normal skin, some fine lines and wrinkles). She recommended the CP+R over every other product, including the Advanced Night Repair. I recently started using Retin A 0.05% at night, to help with fine lines and wrinkles. The Retin A is very drying and burns slightly. I find the CP+R followed with a moisturizer in the morning, to really help relieve the discomfort caused by the Retin A at night. I have been so impressed with the CP+R, that I am considering purchasing the Advanced Night Repair or even the Advance Night Repair Concentrate to use on the nights that my skin needs a break from the Retin A. Has anyone else tried this combination? Huge EL skin care fan. I have the new Perfectionist in the 1.7 oz, the previous version in the 3.4 o.z, the Idealist Pore Minimizer in the 3.4 o.z and the ANR in 3.4 o.z. I have the ANR concentrate to use when the seasons change for the first 21 days at night, Perfectionist in the day and then back to the regular ANR at night and Idealist in the day. I also use Verite Special Eye Cream day and night. I use the Soft Clean toner after I cleanse my face. I used this and still waiting for some changes… But its been 2 months now… I use ANR too .. But alternate with this Perfetinist CPR… But all i can say ANR do repairs on my scars but using every night is too much for my skin.. So yeah ! I have long been an EL user, don’t even look at anything else. That said w/goes on 1st, perfectionist or idealist? This all gets very confusing! hi i am in my mid 40s and i am using the ANR daily without fail, so far, pretty good, but should i try and change to CPR then? especially to reduce my fine lines and laugh lines? thanks so much for the blog!